Are you in a motorcycle club and looking to get our own pins made with your insignia or seal? Or maybe you have a county-wide poker run coming up in two weeks and want to promote your cause…you’ve come to the right place. We design, free of charge, custom biker pins for any group or organization. For your own personalized quote, click the green button below and we’ll get started on your design. It doesn’t cost you anything until you re ready to start making your pins. 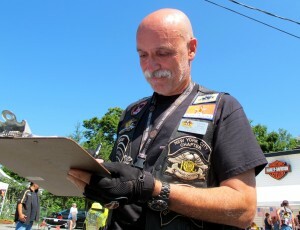 Biker clubs often make it a point to acknowledge their member’s status, and to reward their efforts in the community. When they add new members, designate officers, label different chapters, or participate in worthy community efforts, biker clubs hand out patches that honor or label their members. While patches are traditional, many clubs have caught onto a more convenient way of displaying loyalty. Motorcycle groups all over have turned to using custom made biker pins to honor the wearers of their colors. Like embroidered patches, custom biker pins can be designed by the members of the bike club themselves which brings a more personal meaning to the finished product. Designs can feature images, symbols, photographs, and text; virtually anything that can be provided in a drawing can be replicated. Available in a wide variety of sizes, shapes, metals, and colors, custom biker pins place no limit on creativity. These pins have been special ordered for a wide variety of purposes by many clubs throughout the country. The following is a list of some of the most popular uses. Everyone involved with a club should know where they stand in the scheme of things, and custom biker pins can be an effective way to make a member’s status known. Status pins can be custom designed for the president, vice president, treasurer, secretary, road captain, and sergeant-at-arms, to display the ranks of the clubs respected and devoted members. Special pins can also be created to distinguish among regular members, associates, prospects, or the women of the group. Motorcycle groups are often very charitable. Riders from around the country participate in a multitude of events that are focused on showing support for nonprofit organizations. Custom pins are often created as a way of gaining support or getting the word out about upcoming events. They also make great merchandise for event sales that benefit a specific organization. 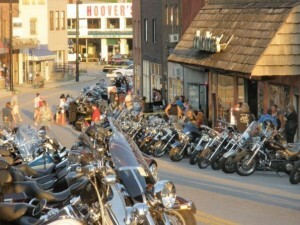 One of the most popular fund raising activities that many biker clubs take part in are poker runs. These poker runs are usually organized as a way for biker groups to give back to their community, all while doing what they love most, riding. Creating custom poker run pins cannot only draw interest, but also can serve as a way of rewarding participants for their fundraising efforts. These small tokens of appreciation can then be worn on motorcycle jackets, leather vests, or in other visible locations, in order to promote their charitable nature. Custom biker pins can also serve as tokens of remembrance. Different designs can be created to reward members for years of dedication, to remind wearers of their ethical obligation, or to remember distinguished members of the club that have passed. In a biker club the family and values that are a part of life within the group should never be far from the mind; these pins can help keep those thoughts at the forefront. Whether in town or out of town, members can display pride in their club affiliation; even when not wearing their colors. Custom biker pins that display a clearly discernible logo cannot only promote pride among members, but can draw the attention of outsiders as well. This can bring about questions from others that may lead to possible prospects or a gain in supporters that can be beneficial for the group’s health and reputation. Questions from outsiders can also provide an opportunity for the bike club member to educate the community about the club’s values and group mission; thus, providing an opportunity to dispel negative stereotypes. The best thing about custom biker pins and poker run pins is that they are simple to use. There is no sewing involved like with a patch; just pin it on and you’re done. They’re also handy when adjusting a member’s status. Instead of risking ruin by removing a patch, you can easily adjust these pins with very little marring. These custom pins are constructed to be durable, yet not bulky or weighty; so, you can be sure it will serve as a comfortable and lasting reminder of the pride that is shared amid the group. To get more ideas of what motorcycle clubs are up to these days, click here.